Together we make the Pink Gene Foundation. Our team consists of unpaid volunteers that are dedicated to making a difference in the world of pink. Help us make a difference. Tera is a breast cancer survivor and advocate who developed stage 3 ductal carcinoma in situ at age 28. She attended Washington State University where she studied Hospitality Business Management. Later on, she used her degree to pursue a career in the hotel industry as a Catering Sales Manager at high end hotel companies in Seattle and Sourthern California. Her experience came from weddings, corporate events, black ties galas to the red carpet working along side of big name events such as Comicon, The Grammys and Hollywood movie premieres. Another fun fact about Tera is that she holds the past titles of Miss Issaquah USA, Miss Greater Seattle USA and Miss Photogenic Washington USA. On her free time you can find her judging pageants and donating her time to the community. Josh graduated from Washington State University where he was a member of Pi Kappa Alpha fraternity. He lived in Florence, Italy for four years and ran a successful event promotion company called Florence Tonight. Josh reoccented with Tera in the winter of 2013, and they have been inseparable ever since. Josh, Tera’s boyfriend and Co Founder of Pink Gene Foundation, has been Tera’s rock throughout her battle with cancer. He took up the cause with Tera because he understands the emotional stress that cancer can cause. His goal is to educate women on breast cancer prevention and to be a resource for men who are struggling with the effects breast cancer can have on relationships. When not working on Pink Gene, Josh likes to spend his time traveling or at the gym. Ashley brings a wealth of experience and talent to the Pink Gene Foundation. 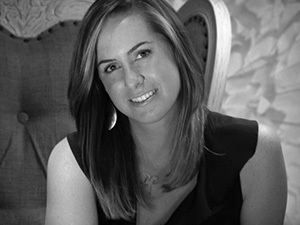 She is a Senior Designer for Revelry Event Designers in Los Angeles, California. Previously with ACM her experience with full event production, event logistics and installation management allow her to seamlessly integrate the Revelry Team into large scale event productions. Her ability to follow a project from concept to completion has quickly made her an invaluable asset to all of the projects she works on at Revelry. Fully versed in CAD, Vectorworks, Lighting & Rental Installations and Event Design, Ashley manages many of the destination projects and multiple-day installations alongside Edgar Zamora. 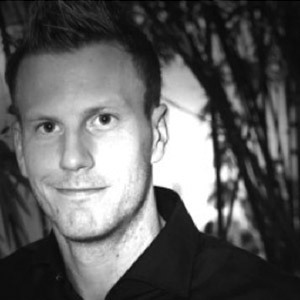 A Revelry Destination Wedding expert, Ashley has orchestrated memorable occasions internationally. She provides support to her planners with shipping, packaging and local resource solutions nationally and internationally. 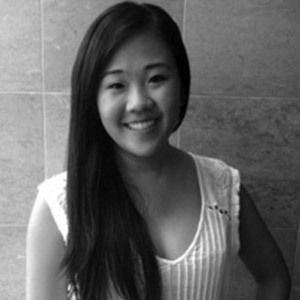 Michelle is a recent University of Washington Biochemistry graduate. She is a girl with a natural passion for pursuing a career combining beauty and science. Having her mom as a breast cancer survivor has given her an exclusive view of cancer and growing passion in spreading cancer awareness. Working at PGF has been a great learning experience with Tera and josh being such inspirational mentors! Cynthia is currently a student studying Communication and Political Science with a sales certificate at the University of Washington. She is originally from Taiwan and speak fluent Chinese and Taiwanese. 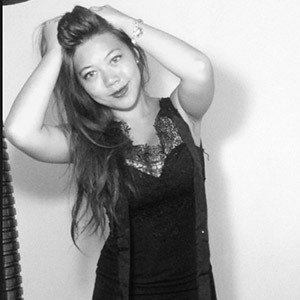 Cynthia has been very active in the creative industries including advertising, PR, and marketing. 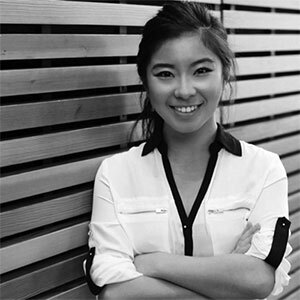 She has worked for more than 6 Seattle start-ups and was recruited onto the Pink Gene team as the lead marketing intern in February 2014. 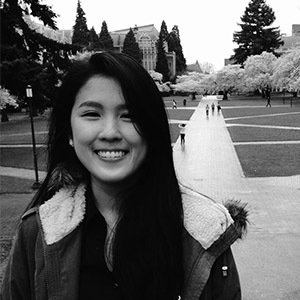 As a sophomore majoring in marketing at the University of Washington, ChengSu has been dabbling in graphics design just for kicks. She loves designing and branding through visual story-telling. She will be design lead for UW’s chapter of American Marketing Association’s very own ad agency, Husky Creative starting in Fall 2014. ChengSu hopes to work at an ad agency upon graduation and is considering double-majoring in design after completing her Bachelor’s in Business Admin this coming year. Erin is a senior at the University of Washington. She is a journalism major hoping to pursue broadcast journalism. “Pink Gene Foundation has taught me so much,” said Erin. “It’s amazing to have the opportunity to be a part of an organization with a great cause that makes a positive impact for young women.” When she isn’t busy with school work and Pink Gene, Erin keeps herself busy as a member of the Delta Zeta sorority. In her free time, she enjoys spending time with friends, relaxing and taking advantage of everything Seattle has to offer.